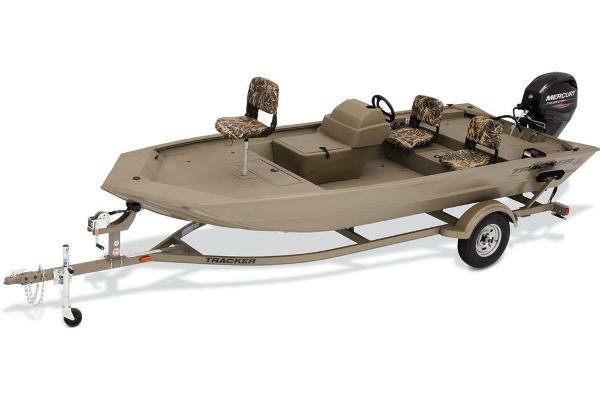 Warranty on Mercury 50 HP until 2021 Bow fishing with 8 LED lights mounted on the front Stock #172619 2016 Grizzly 1760 Camo semi-v boat with 50 HP Mercury Tiller motor. Design for Bow fishing with 8 LED lights mount on front. 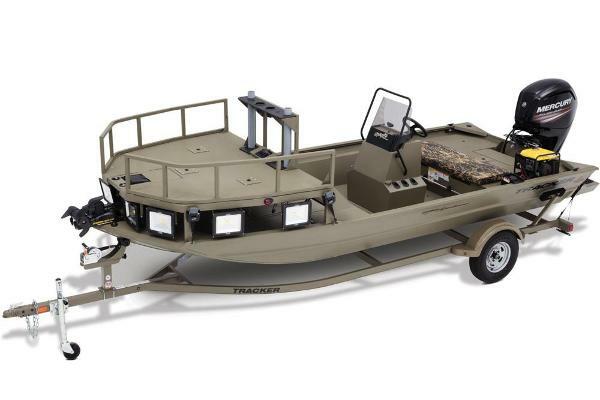 MinnKota Powerdrive V2 12 If you are in the market for a bass boat, look no further than this 2016 Tracker Grizzly 1760, priced right at $18,250 (offers encouraged). 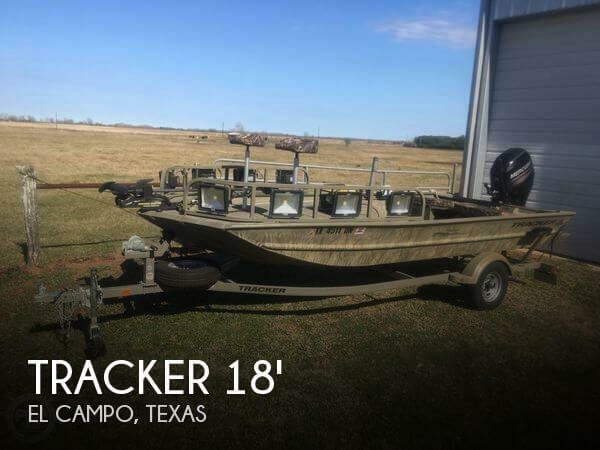 This boat is located in El Campo, Texas and is in great condition. She is also equipped with a Mercury engine that has only 10 hours. Reason for selling is don't use it anymore!. The owner has a brand-new in-the-box MERCURY prop ( see photos ) plus the one currently installed. The owner is including a number of quality life vests which are photographed. A very nice tube and tow rope is included. This is a clean boat. Note: the lens on the rear-left brake light is cracked. Light works, but the lens should be replaced. 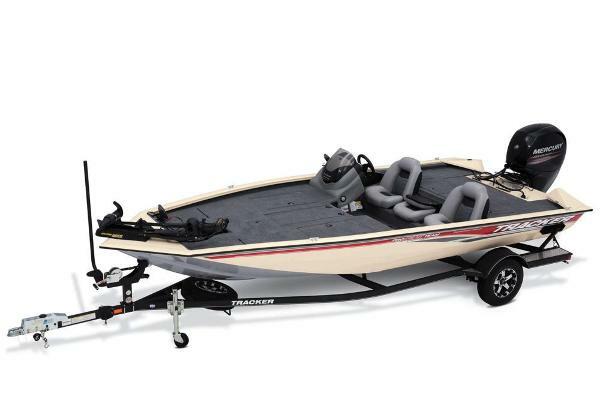 Total weight with the 115hp engine is approximately 4067 lbs. Stock #164086 This vessel was SOLD on March 21. 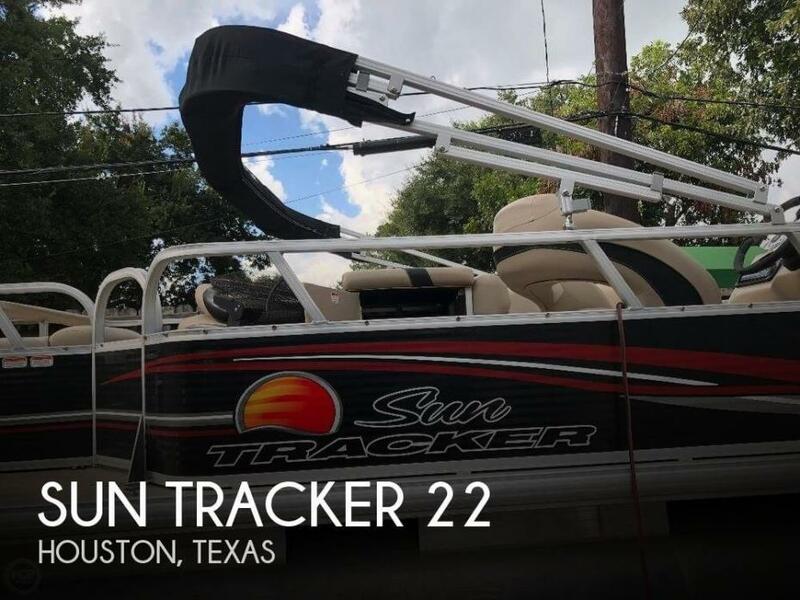 If you are in the market for a pontoon boat, look no further than this 2014 Sun Tracker DELUXE FISHING BARGE, just reduced to $23,899 (offers encouraged). 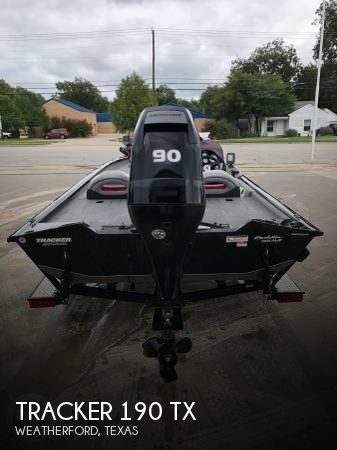 This boat is located in Canyon Lake, Texas and is in great condition. She is also equipped with a Mercury engine that has only 50 hours. Has a few small dings in the bow of the boat. Propeller needs repair, which seller says he will replace. Interior is in great shape, no rips or tears. Has been kept in seller's garage. Very few hours, barely used. 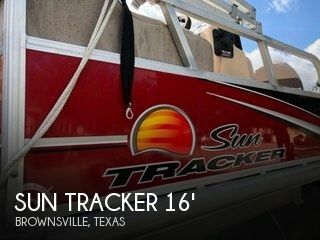 Stock #161574 Get up, Get going and Get fishing with this practically new Tracker, you'll love the REEL time you get. 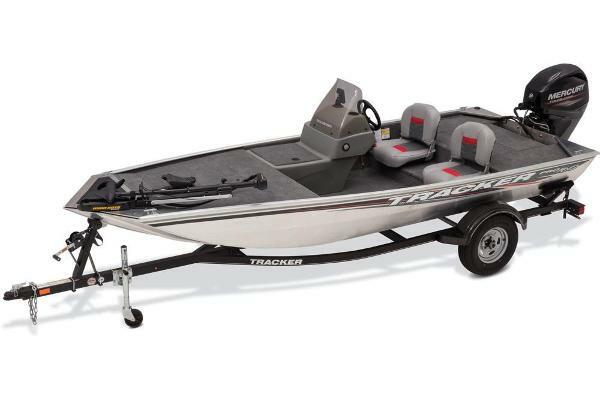 If you are in the market for a bass boat, look no further than this 2018 Tracker Pro 170, priced right at $18,100 (offers encouraged). 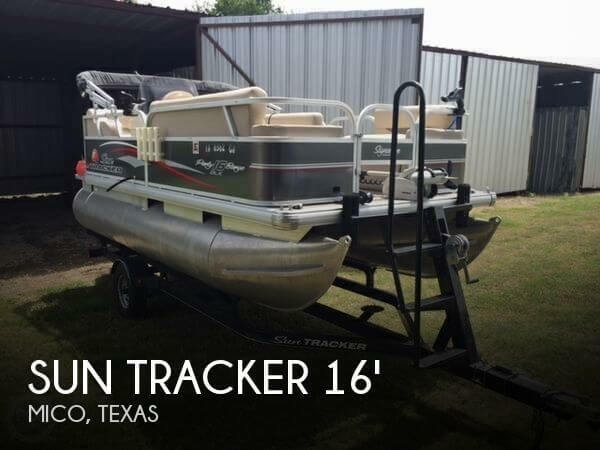 This boat is located in Mesquite, Texas and is in decent condition. She is also equipped with a Mercury engine that has only 136 hours. Reason for selling is wants a bigger boat. 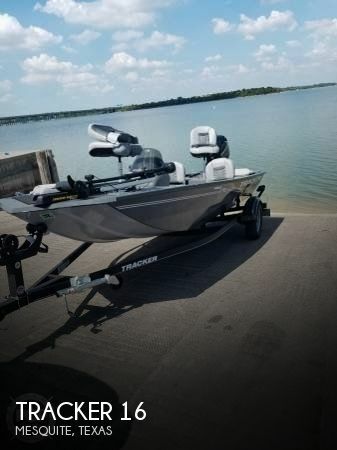 This boat is only a 2013 the sun has done its damage to the upholstery.According to the owner he will have the seats repaired or adjust the sales price. There is evidence the boat has been used in some wooded areas by the scratching on the sides, and some marks on the rub rail. The engine, as well has a few scratches and there is damage to one of the prop blades. 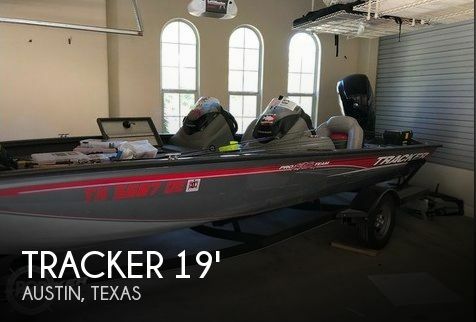 Stock #161899 2013 TRACKER PRO TEAM 190 MERCURY 90 4 STROKE TRAILER IS INCLUDED If you are in the market for a bass boat, look no further than this 2013 Tracker 190 TX, just reduced to $15,500 (offers encouraged). 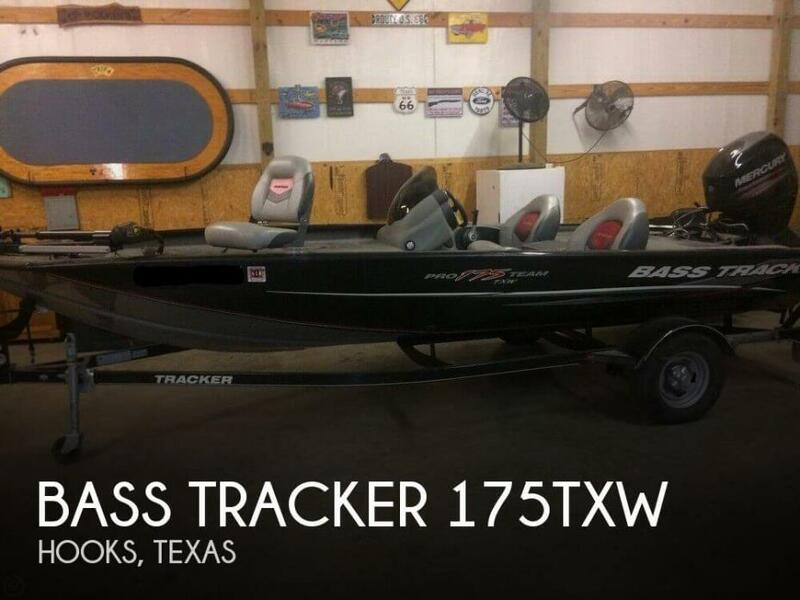 This boat is located in Weatherford, Texas and is in decent condition. She is also equipped with a Mercury engine that has only 70 hours. Reason for selling is does not use the boat very much. The boat has been run on freshwater rivers and lakes. All equipment is in good working order per the seller and the inside and out are in very good condition. 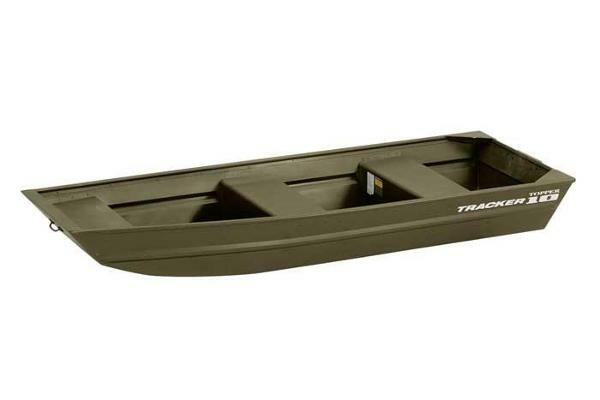 There are two small spots with minor dock rash but overall the boat shows very little use. 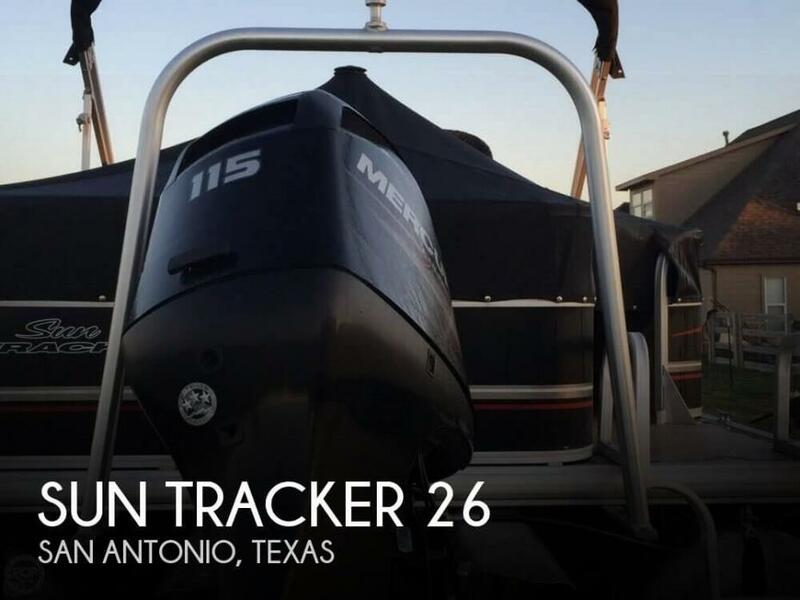 Stock #158842 2013 SUN TRACKER 22 PONTOON BOAT FISHING BARGE MERCURY 90 FOUR STROKE TRAILER INCLUDED WITH SALE If you are in the market for a pontoon boat, look no further than this 2013 Sun Tracker 22 Fishin Barge DLX, priced right at $20,500 (offers encouraged). 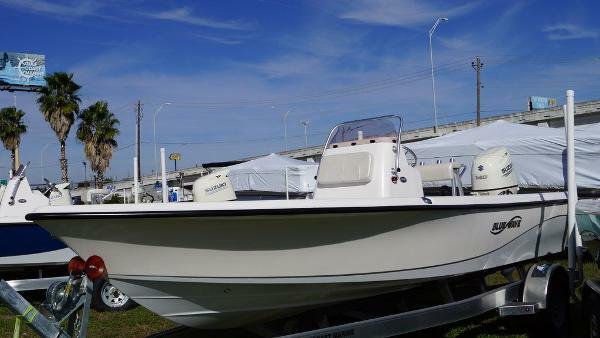 This boat is located in Houston, Texas and is in good condition. She is also equipped with a Mercury engine that has only 90 hours. Reason for selling is using other toys more.